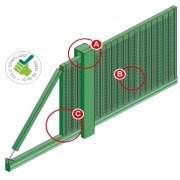 Designed and tested to the highest security standards, our Securus AC™ holds LPS1175 SR2 security rating and is Approved For UK Government Use, for further details please contact CNPI. 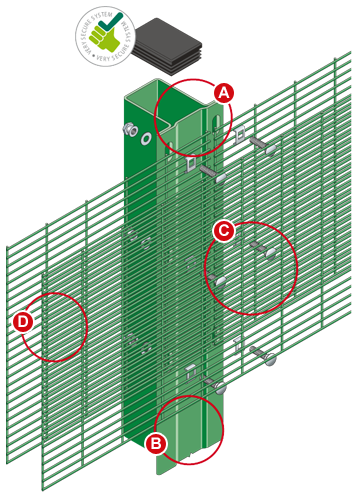 The flat panel wire mesh fencing system offers a wealth of security features to create a formidable barrier to stop even the most determined criminals. 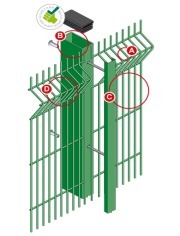 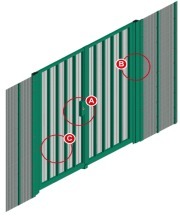 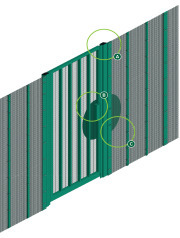 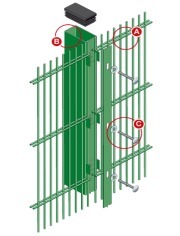 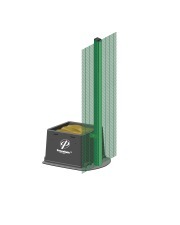 Our high security panels are made from twin layers of welded steel wire mesh which are attached to one another via both primary and secondary posts. 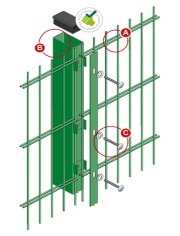 Additional joining clamps feature across the attack face offering both increased rigidity and a further level of security protection. 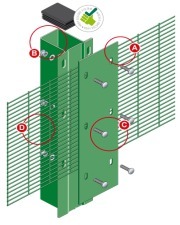 Fixings are made from stainless steel security bolts which also add to the strength of the fencing system. 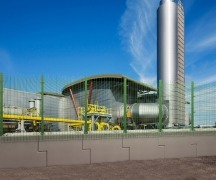 Our Securus AC™ conforms to BS 1722-14 for open mesh steel panel fences, as well as holding full certification from the LPCB (Loss Prevention Certification Board) certification to Loss Prevention Standards 1175 Security Ratings (SR2), this testing demonstrates that the attack face is proven to withstand sophisticated attacks from mechanical tools. 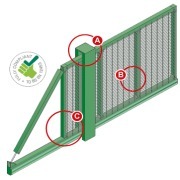 Securus AC™ also holds a security rating proved by the CPNI (Centre for the Protection of National Infrastructure) that makes it the ideal choice for all high risk sites, especially when governing bodies dictate a security standard which conforms to global standards. 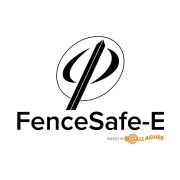 For a dedicated High Security Fencing System that offers a guaranteed level of protection contact us today to find out more. 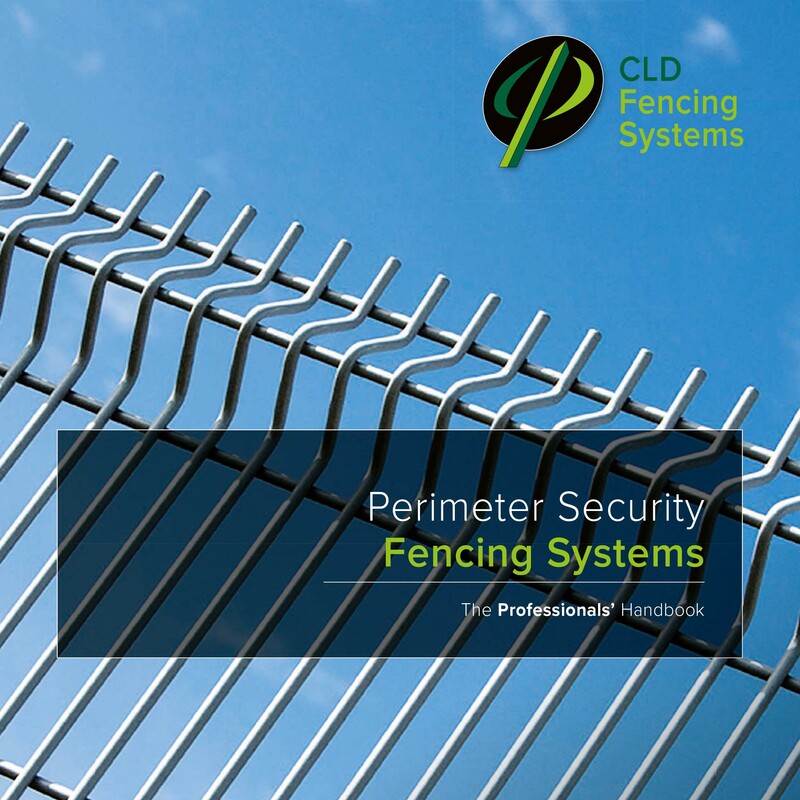 We offer a full project specific advisory service and have worked with British Ports, British Airports, MOD and RAF Bases, Utilities and Critical Infrastructure organisations to provide key information and recommendations for a modern perimeter security system that is upgradable against multi-threat attacks.